GlobalSCAPE, Inc. (NYSE MKT: GSB), a pioneer and worldwide leader in the secure and reliable exchange of business information, announced today that its Board of Directors named Matt Goulet as the company’s next President and Chief Executive Officer, effective May 16, 2016. Additionally, Goulet will be serving on the Globalscape Board of Directors. As President and CEO, Goulet’s first priority will be to continue to leverage the core technologies of the company while focusing on technology alliance partnerships, ensuring Globalscape’s continued growth and acceleration. Goulet joined Globalscape in 2013 bringing nearly 20 years of experience in the security, networking, and storage industries. Prior to this role, Goulet served as the Chief Operating Officer at Globalscape. During his tenure as COO, Goulet oversaw the teams responsible for growing Company revenue to the highest annual revenue in Company history. As COO, Goulet was responsible for the global sales and marketing teams, as well as the engineering, quality assurance, product management and strategy teams. In that role, he was also responsible for the alignment and prioritization of technology alliances to further Globalscape’s go-to-market strategy. 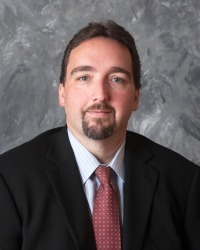 Goulet succeeds James Bindseil, who was appointed as President and CEO of Globalscape in December 2013.